We took the ‘scenic’ route since the main highway is under construction for about 5 miles and really congested. If we take the highway a 30 minute trip takes about an hour, scenic route takes 40 minutes. 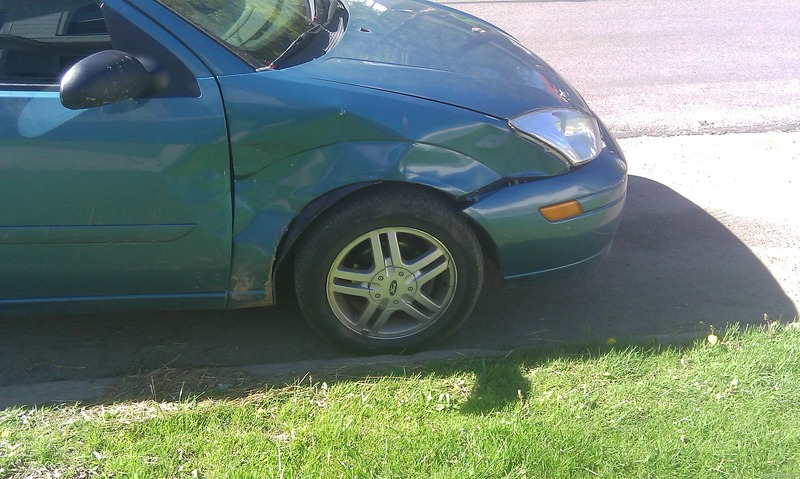 We were hit by a deer. We stopped for one deer, Mrs. Wifey says “oh look, only one”, then BAM! Out of nowhere the second one jumps out of the bushes, over a ditch, right into my wife’s passenger side front fender and door.